I’m really impressed. Rowling has managed what to write a series of books, where at least the first three are wonderful. That isn’t something that you see everyday. 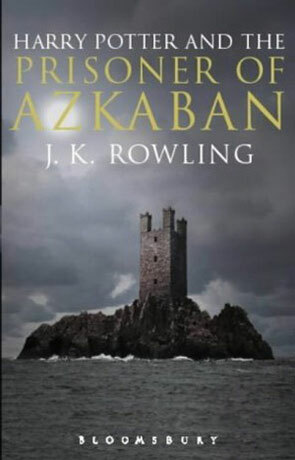 …The prisoner of Azkaban, starts of exactly like the first two Potter books, with Harry enduring the Dursleys and looking forward his return to Hogwart. And after a small detour we end up at Hogwarts exactly as expected. And this is where I’ve a small chance at actually criticising Rowling – I found the first few chapters at Hogwarts a bit boring. Same old professors, same old friends and the same old foes, all acting in the same old way. Nobody has really changed. For somebody who has just read book one and two, a bit to much time is used on reminding us, who everybody is. If you for some strange reason haven’t read book one and two, or if it has been a while, it is probably fitting. Not exactly heavy criticism is it? New characters are quickly introduced and old ones moved to the background, a deadly thread is established and Harry, Ron and Hermione quickly ends up in the deep end. There’s some good surprises and most of the rest of the book is a true page turner. I was expecting a bit of a love-thing between two of the characters (which aren’t Ron and Harry), I mean, they are teenagers in this book and a bit of awkward kissing under the invisibility cloak, would have been expected. Or maybe it’s just me, who’s an old pig and forgetting that he isn’t the intended audience for this book. I found the ending to be better than the first two books and I’ll be picking up The Goblet of Fire as soon as I get a chance. Written on 7th March 2002 by TC.